A logo to represent an area of geological importance and tourism as part of a major interpretation project. 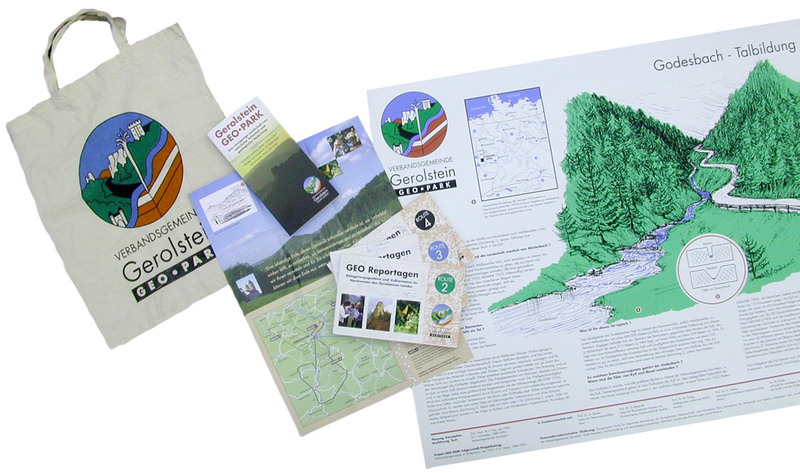 One of our first major jobs was to create interpretation for an area of the Eifel region of Germany, famous for its geological interest, its fossils, and the naturally carbonated spring water. The project included interpretation panels for 80 separate locations! This European funded project lasted for 4 years. As part of the contract we were required to a create a logo and ‘house style’ for the panels, books and merchandising that would be produced throughout the project.